Have you ever seen this stuff? Cooked wheat gluten. 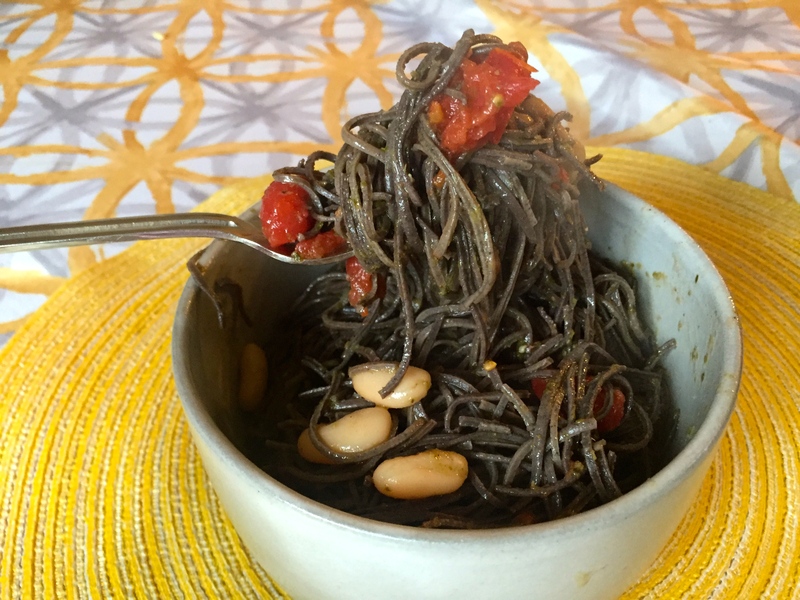 Yes, I said it: gluten. I know everyone freaks about gluten these days, but I am on the team that says unless you are a celiac, quit worrying about it. 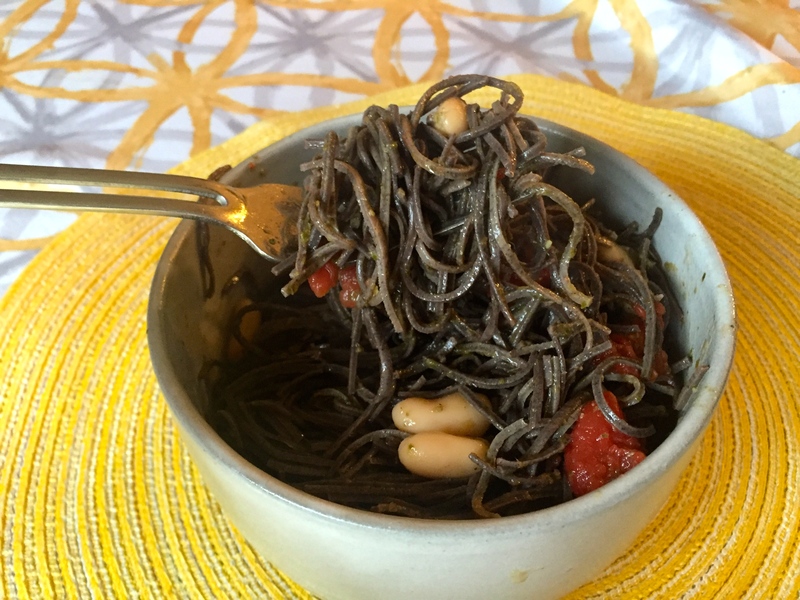 It’s a plant-based protein and has no fat or cholesterol, so yes, it’s healthy. As mentioned, it is a super high-protein source for those of you out there that want to cut out some meat, but just can’t do the tofu thang. It’s chewier, more dense and has a jerky type quality (but not in a weird way.) 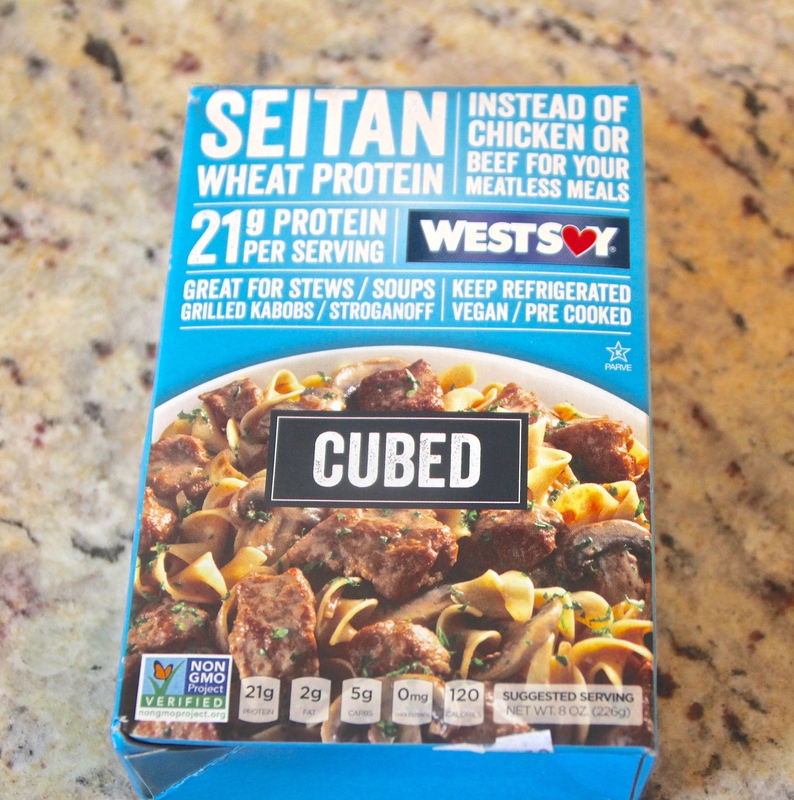 As a matter of fact, many vegetarians like seitan better than tofu because of this meaty texture. Like tofu, it absorbs flavors easily so you can add it to anything. What’s up with dates? Are they healthy? Isn’t there too much sugar? Yes, there is a decent amount of sugar, but don’t fear, it is naturally occuring. Nothing added. 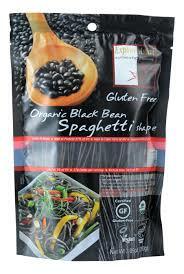 Worth noting: The high fiber content will help slow the bodies blood sugar response. Score. Speaking of naturally occuring sugars, same goes for bananas and carrots. I can’t stand when people are afraid of their high sugar content. Yes, bananas are high in fruit sugar, but let’s just stop it. Bananas, Carrots and DATES are fruits and vegetables, not a can of Coke. Bakc to my Medjools. 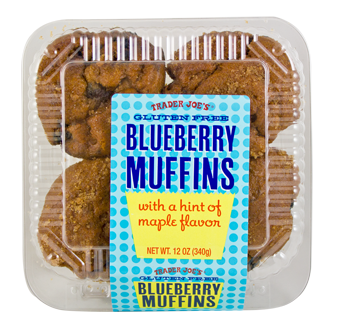 In addition to the fiber, they also have B Vitamins, Copper, and Potassium. 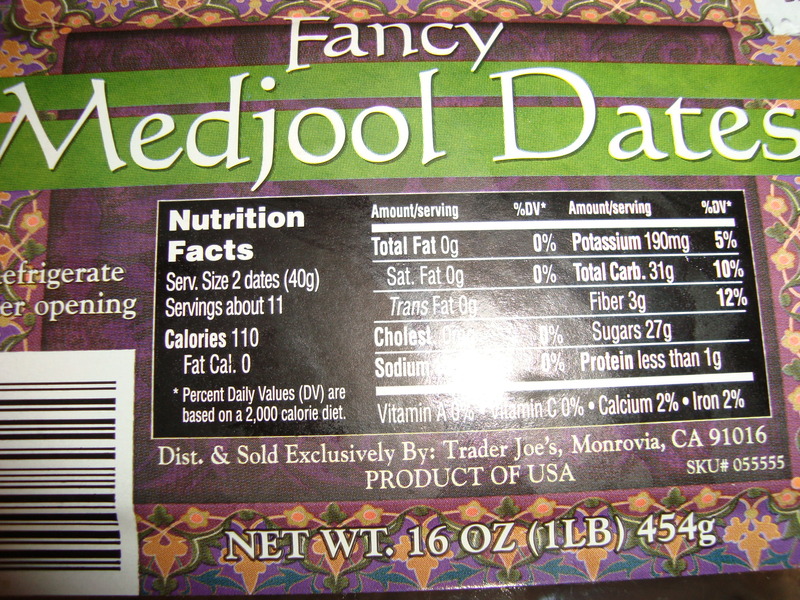 Why Medjool Dates VS. other dates? Medjools, are the largest, sweetest, and softest of all dates. 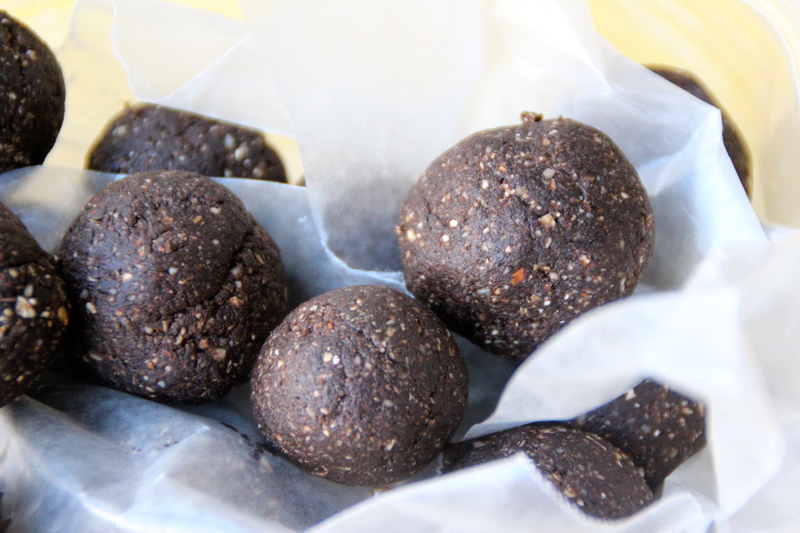 Because of these traits, they make a great addition to many desserts and raw foods’ recipes. 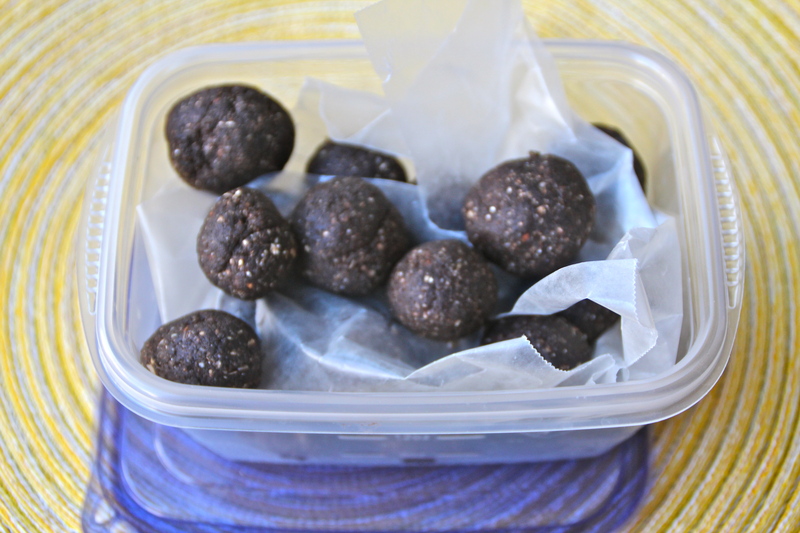 I make many raw dessert balls, but the ones pictured below were one of the first dessert balls that I have ever made and still make time and time again. 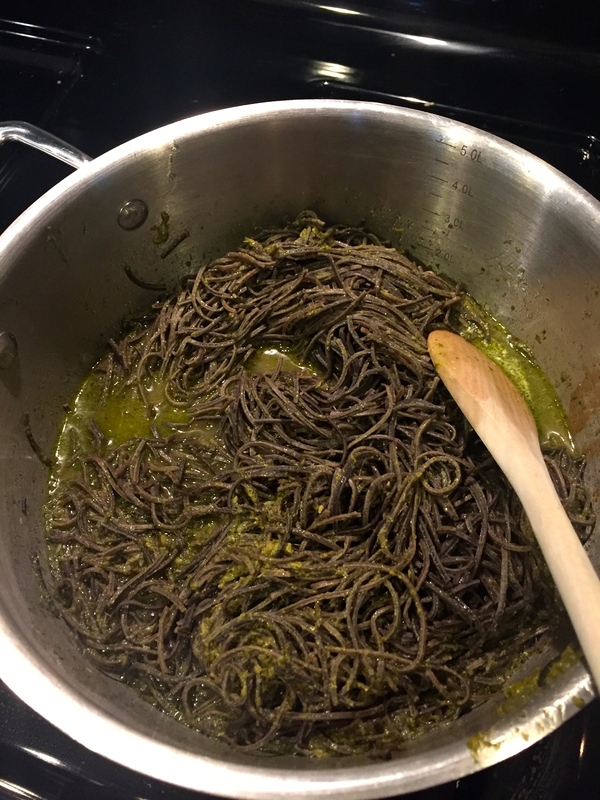 Here is a good recipe to get you started on your Medjool Date journey. From Dreena Burton’s Let Them Eat Vegan! In a food processor, process the almonds until fine and crumbly. Then add remaining ingredients (except the optional chocolate chips) and process. Once the mixture starts to become crumbly, process fully for a minute or two. 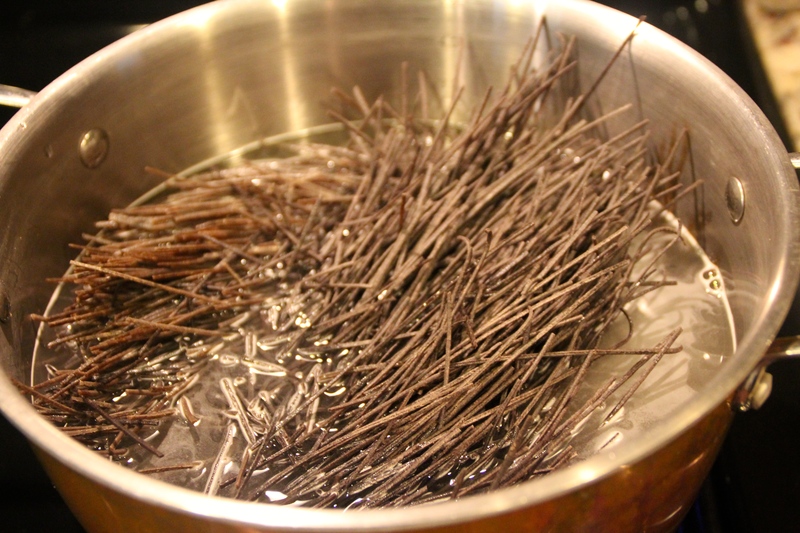 It will appear as if nothing is happening at first, that the mixture is just whirring around in crumbs, but soon it will start to become sticky. When you see it start to become a little sticky, add the chocolate chips and process again. Continue to process until it forms a ball on the blade. Stop the machine and remove the dough. Take small coops of the dough (1 to 1 1/2 tablespoons in size) and roll in your hand. Repeat until you have rolled all of the dough. I usually keep some in the fridge and some in the freezer, but they do not last too long in either. :/. 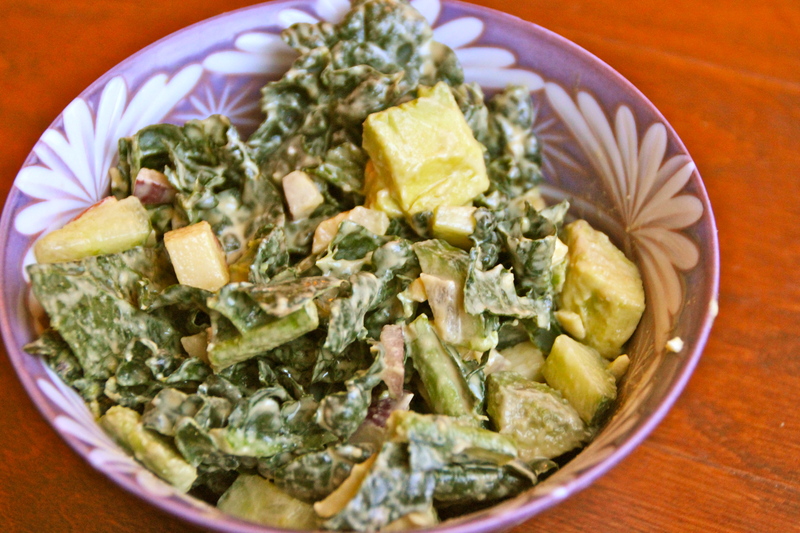 Make friends with…Kale, (and an Apple Kale Salad recipe). Kale. This one seemed pretty obvious to me. I guess I live in my green bubble and assume that people have evolved beyond iceberg lettuce (not hating, promise)…but I have learned that sometimes good nutrition needs to be taught and learned several times for it to really stick. Although I have mentioned kale and its’ benefits several 1000 times, my apologies, because here I go again, preaching up a kale storm. Sorry, but not sorry, but I feel like this should be said again and again and again…. Kale, are you eating it? 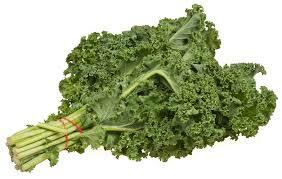 Is kale in your meal rotation? Yes, vitamin A, C, K, but it’s the calcium that you should care about. Did you know that the body only absorbs about 32 percent of the calcium in cow’s milk? Greens are somewhere in the 40-64 percent range, depending on the green. That’s something to pay attention to. 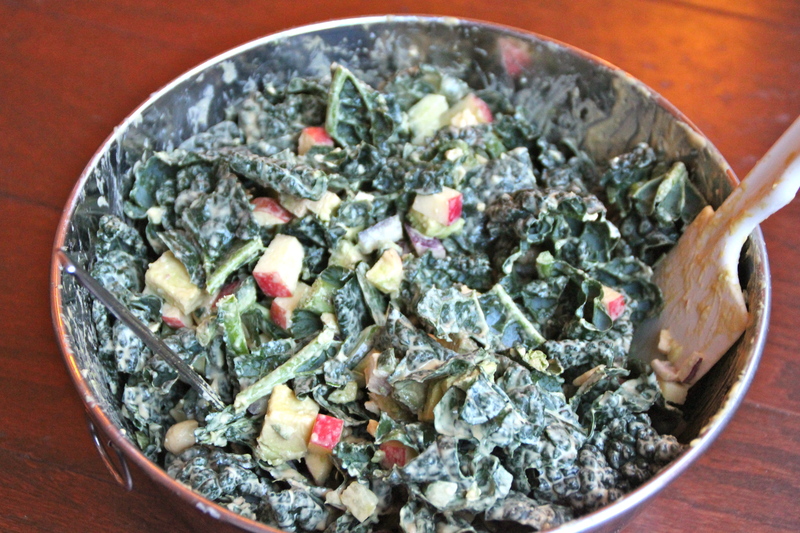 Apple Kale Salad. See below and get choppin. 1. Add kale, onion, cucumber, and apple to a large mixing bowl. Place bowl in fridge for 30-60 minutes. When ready to eat, add chopped avocado and cashew and mix well. 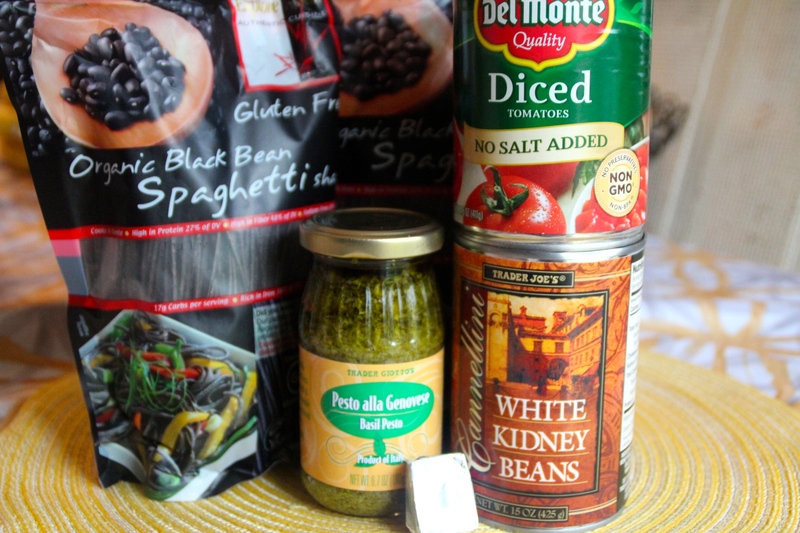 Add all ingredients to your food processor and process until smooth. That’s the stuff. Buy it, love it, breathe it. Okay, I’ll skip the dramatics, just eat it. If you have been following my blog for a while, you know that I use tofu A LOT. Yes, I am well aware that tofu is the punchline to EVERY vegetarian joke, but I think its mockery is unfair. Tofu is extremely versatile and extremely healthy. And as I have mentioned in the past, if you do not like tofu it is because it wasn’t prepared right. Let’s talk about the different kinds of tofu, shall we?? First off, you can use pretty much any kind of tofu in a recipe that might call for tofu. Tofus are somewhat interchangeable, HOWEVER the results will be a bit different. Texture, creaminess. I am okay with this because I have been eating tofu for years, but to the tofu newbie? 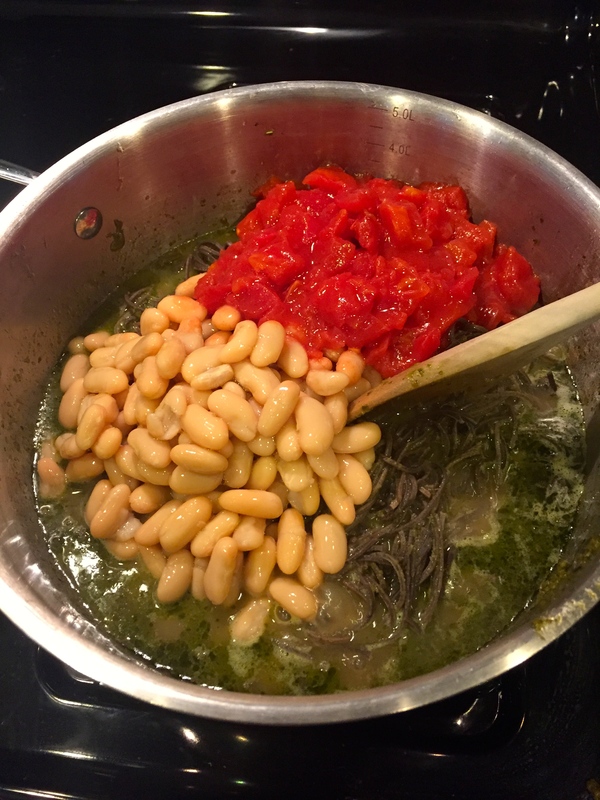 Stick with what the recipe says. 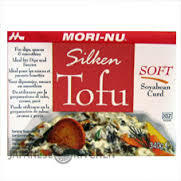 If it says silken tofu, use silken tofu! You do not want to have a bad tofu experience then never touch the stuff again, right? 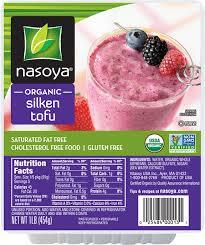 Silken or Soft tofu is what you want in smoothies, puddings, salad dressings. SOFT STUFF! 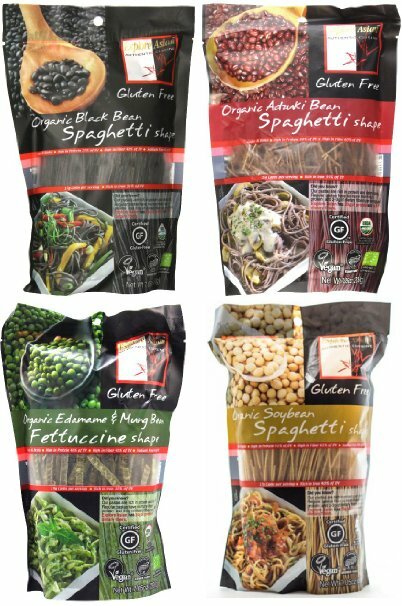 Can be found refridgerated or also in the world foods section of your supermarket. Check out the picture. A smoothie on it. SOFT STUFF. CREAMY STUFF. Can also be found in with Asian goods. Doesn’t need to be refridgerated. Nice to have an option for road trips. Because we all bring tofu on road trips. Ha! 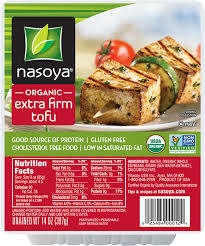 Extra Firm or Firm Tofu is for you meat eaters that are using your tofu in place of chicken in your stir fry. This tofu hold up better than silken because it has less moisture. Check out the picture on this package. Kabobs. You can’t do that with silken tofu, surely it would crumble before you even finish putting it on the stick. Extra Firm Tofu also holds up its texture well even after being pressed. You do press your tofu, right?? If you press your tofu, it helps remove any excess moisture (from that tub of liquid it was just sitting in). If you press your tofu, it helps to improve texture (for all of you “tofu is too slimy” people out there). If you press your tofu it allows sauces and marinades to be reabsorbed (making your meal super awesome and swoon worthy). Put two paper towels down. Put your tofu block on the paper towels. Put two more paper towels on top. Add a pan or something heavy on top of the tofu/paper towel tower thing you’ve got going on. Walk away for 30+ minutes.